Esther Mireya Tejeda is the Head of Corporate Communications & PR at Entercom, a leading media and entertainment company and one of the two largest radio broadcasters in the U.S. Entercom reaches over 170 million listeners monthly through a premier collection of 235+ radio stations, digital platforms, and live events and is the nation’s unrivaled leader in news and sports radio and the home of RADIO.COM. As the first Head of Corporate Communications & PR, Tejeda founded Entercom’s communications practice in 2016. She leads an award-winning team overseeing the company’s internal and external communications, including business and industry media relations; financial communications; local public relations; programming, talent and event publicity; crisis communications and reputation management; social media; and executive thought leadership. In 2017, Tejeda defined and led the communications strategy for Entercom’s high-profile acquisition of CBS Radio. Her creative and strategic campaigns elevated the Entercom and RADIO.COM profiles as powerhouse media brands on a national scale. Her work earned multiple industry recognitions, including Communications Campaign of the Year by The American Business Awards, Media Relations Campaign of the Year by PR Daily, and two honorable mentions for ‘Rebranding Campaign of the Year’ and ‘On a Shoestring Campaign’ by PR News. Radio Ink Magazine named her one of the ‘Most Influential Women in Radio’. Tejeda is an accomplished communicator with nearly two decades of leadership experience at blue chip organizations including Univision, PepsiCo, and Diageo North America. She has successfully executed campaigns for marquee initiatives, including the Pepsi Super Bowl Halftime Show; Pepsi NBA, MLB, and NFL partnerships; Univision’s partnerships with FIFA World Cup and the Latin GRAMMY Awards; and Diageo’s partnerships with the GRAMMY Awards, Latin Billboard Awards and NY Fashion Week, among others. Tejeda earned a Bachelor of Arts degree from Brown University and a Master of Fine Arts degree in creative writing from The New School. She serves on the board of directors for the Hispanic Public Relations Association. Zainab Ansari is a Corporate Image professional, Public Relations specialist with over forty years of high profile and successful career in large multinationals and reputable organizations; extensively exposed to Television, Radio and the literary circles; established writer, poet and a free lance journalist. She has a published book of English poetry "Sometime Somewhere" while her Urdu poetry collection is under compilation. Linda Ashmore has extensive experience developing campaigns and strategies to clearly communicate value proposition across multiple business units and diverse product offerings within organizations. During her career, Linda has overseen all communications activities including executive communications, public relations, digital properties, social campaigns, global events, analyst relations, and internal communications. Omar Banihani is the Marketing Manager at the Jordan Tourism Board, North America. In his current role, he handles the design and implementation of consumer and trade advertising campaigns as well as forming strategic trade marketing partnerships to increase travel to Jordan and boost the number of bed-nights. Omar holds a BA in Advertising Communications from Brigham Young University and a Master’s degree in Tourism Administration from George Washington University. As Aflac's Business PR Manager, Darcy Brito oversees Aflac’s award-winning corporate social responsibility program and the company’s executive visibility program. She implements innovative ways to drive positive business and community impact. Darcy holds an MBA from the University of Miami and a bachelor’s of arts degree from Simmons College. Dr. Craig Carroll is Executive Director of the OCR Network, a research and forums network for corporate affairs executives of Global Forbes and Fortune 500 firms. He is the author of three of the leading authoritative research compendiums on corporate reputation around the world, including the Encyclopedia of Corporate Reputation. Patti Costantino is the president of PSC-PR, an NYC-based consultancy specializing in consumer public relations, marketing communications and presentation skills coaching. We craft the stories and power the voices to help businesses grow. Visit www.psc-pr.com for more info. Mary DiMaggio Finley has more than 20 years experience in government public health education programs, public relations, consumer products, social marketing, partnership development and brand management. As a senior executive and leader, she has managed contracted relationships, management of cross functional teams and engaged with internal accounting management teams to ensure company profitability. She has been a speaker for strategic communications, public relations, and multicultural outreach. Andrea leads communications for PepsiCo‚Äôs Global Research and Development team. She has been at PepsiCo for twelve years and has served in a number of intneral and external communications roles. Prior to joining PepsiCo was an editor for the Beverage World Publications Group, including five years as editor-in-chief. Deanna Harms joined Greteman Group in 1996. She offers clients sound counsel, strategically executed and has helped the agency become a leading aviation-specialty marketing agency. From its base in Wichita, Kan. – the Air Capital – the agency supports leading manufacturers, flight support, aftermarket services, insurance, in-flight Wi-Fi, airports and regional airlines. 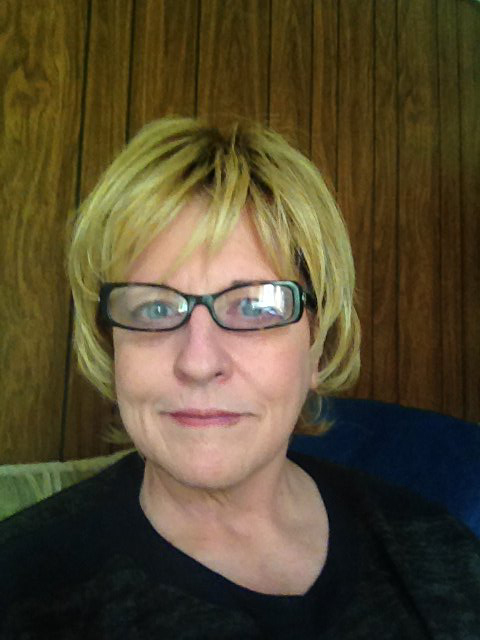 Annie Howell has enjoyed a 30+ year communications career primarily in the entertainment and media industries. She headed corporate communications, PR, publicity and social media at numerous networks including Hallmark Channel and SundanceTV and for 7 years was SVP of Discovery Communciations US Networks Division. She is a certified executive coaching, In 2015, she launched The Punch Point Group where in addition to strategic PR, she specializes in media and presentation skills training; messaging, positioning and storytelling; executive coaching; and, communications workshops and bootcamps. She started her career in public affairs in Washington, DC at Ogilvy & Mather and at Powell Tate, a company she helped launch as one of its original 15 employees. Craig Kensek has been in the technology sector approximately twenty years working with both small and large companies. He received his BS from Stanford University and triple major MBA from Kellogg/Northwestern. Stacey Kerans is an award-winning communications consultant with 20+ years of integrated marketing communications experience helping clients build authentic brands and meet their business goals. She has overseen consumer brand and corporate reputation communications strategy for some of the world’s most well-recognized brands, associations, and U.S. federal government agencies. Professor Leonard has several years of public relations experience in the banking, publishing, government and telecommunications industry. Her expertise is in the area of internal communications. Melinda Leyshon is the CEO of Awards Agency, Australia's leading business award specialists. She's a sought-after consultant to organisations, guiding them with setting up their own awards programs and reviewing existing programs to ensure they maximise consumer engagement and deliver ROI for both the organisation and the candidates. An extensive knowledge of best practice procedurees across the gamut of awards programs sees her speak at business and marketing events, while her mentoring and training workshops give candidates the skills and knowledge they need to develop a succinct yet sizzling submission. Iveliesse Malave is the VP of Communications for the Latin Recording Academy. She brings over 20 years of expeirnce in the fields of communications and marketing. Jana Polsky is the Director of Communications for Westwood One, where she manages internal and external communications. She handles publicity, promotion, and brand messaging as the lead PR contact. Additionally, Polsky creates and produces commercial content for national advertisers, attracting multi-million dollar accounts and driving revenue for the company. Rosemary Ravinal is vice president of entertainment and consumer public relations for Univision Communications, Inc. (UCI), the leading media company serving Hispanic America. Based in Miami, Rosemary oversees publicity efforts for Univision’s portfolio of broadcast, digital and cable networks and serves as a primary point of contact with English and Spanish-language consumer media. Before joining UCI in 2017, Rosemary was senior counselor on Hispanic business strategy for Toyota Motors North America at República, the Miami-based multicultural marketing agency, and was vice president and department head of the agency’s public relations and content communications practice.She has more than three decades of public relations experience in the U.S. mainstream, Hispanic and Latin American markets and has held executive positions at multinational media and telecommunications consumer-facing companies in New York and South Florida. Brendi Rawlin is the CEO of Lee and London PR, a top Southern California PR agency. A former journalist, she has 18 years of experience developing and managing strategic communications and media relations campaigns; from managing multi million-dollar accounts and counseling Fortune 500 corporations, to launching start-ups for clients in a wide range of industries. Brendi’s experience includes strategic facilitation of branding and market positioning initiatives for emerging brands, as well as media and message training. She's won multiple awards for her work, including over a dozen Silver Bernays awards, a “40 Under 40” award, and many more. Kim Sheeter has been a creative director, writer and editor for organizations from AAA to Walt Disney World and most of the alphabet in between. Keira is an award-winning corporate communications executive with 20+ years agency and corporate public relations and marketing experience, With a unique combination of ideation, problem-solving and design thinking skills, coupled with communications and marketing expertise, Keira helps businesses from first-time entrepreneurs to Fortune 100 brands by creating innovative, competitive differentiation through her creative, empathy-based approach to solving complex business and communication challenges. 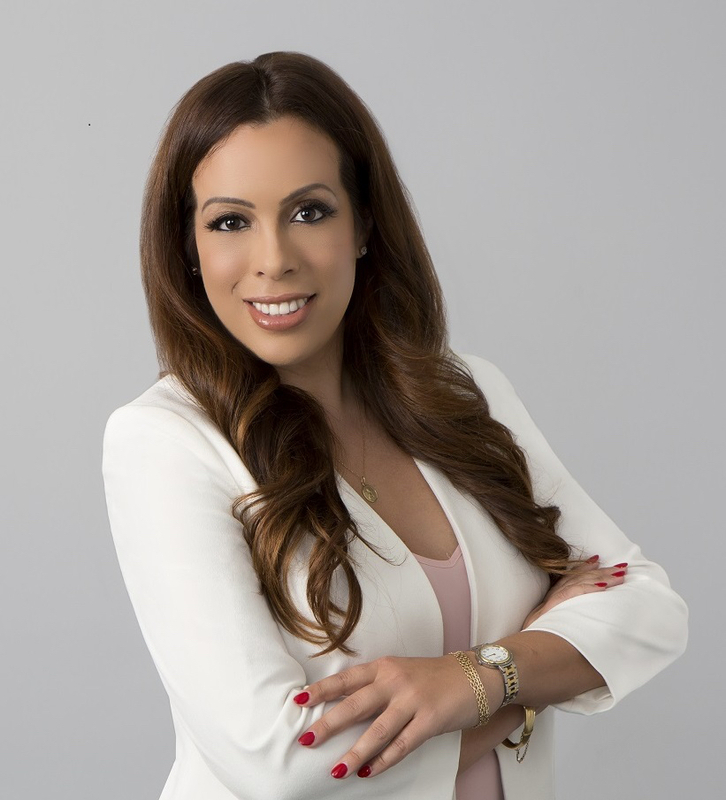 Mónica Talán leads communications at ADT, the leading provider of monitored security and interactive home and business automation solutions in the U.S. and Canada. She has more than 20 years of experience in communications and PR, in corporate, agency and government. She is a graduate of The University of Texas at Austin, where she was recognized as College of Communications Outstanding Alumnus in 2013. Karen Thomas is President and CEO of Thomas Public Relations, Inc, a leading award-winning technology PR firm with an over 20 year history of successful public relations campaigns for ground-breaking technology companies, including BeBop Sensors, NewerTech, OWC, GameSir, Kidz Gear, Olympus, The Great Kat, and many more. Karen Thomas has served as judge for Stevie Awards, CES Innovation Awards, CES Asia Innovation Awards, Edison Awards, IT World Awards, and CEO World Awards; and is the winner of numerous technology PR awards, including LIBN Excellence in Communication Award 2017 for Best PR Campaign, PR News Social Shake-up Movers & Shakers Award 2017,Onalytica Top 100 PR Influencer Award 2015, and PR SourceCode Top Tech Communicator. Cathryn van der Walt is the founder and director of 12 Worlds. She has over 25 years’ experience in marketing, communications and business management. A graduate of Sydney University, today she provides senior counsel for organisations and innovators in the financial services marketplace, helping them establish and build communications programs for a wide range of audiences. Andrea Meyer has worked on both the agency and client side of PR with internal communications and marketing in the mix. Andrea has had the privilege to work on a host of stellar brands including Cartier, Lucasfilm, Montblanc, Sony (the North American launch of the PlayStation), Toyota, Verizon, and Weber. Howie Waterman leads external communications strategy and execution promoting network technology leadership and innovation at Verizon. He has 15+ years of experience in strategic media relations, crisis communications, social media and developing successful thought leadership campaigns. He began his career as a radio journalist at 1010 WINS in NYC. Proud father of 3. Huge sports fan and avid drummer. Maryann leads brand communications for PMK∙BNC NY. She serves as a strategic lead for clients with a focus on integrated marketing communications programs that build brands and connect them to pop culture. Prior to PMK∙BNC, Maryann was President of RFI Studios, Director of Global Communications Strategy at PepsiCo and SVP and Director of Corporate Communications at Ruder Finn. Becky Wilson leads WDS Marketing & Public Relations, a Grand Stevie Award winning agency that excels in assisting their clients in building visibility and credibility through local and national media attention, award program recognition and leadership activities. Becky was honored with an Enterprising Women of the Year Champion award by Enterprising Women Magazine in 2017.